I just returned from Melaka and it was time to send the car in for the 5,000km servicing. Fella at Kia tell me I can only collect car at 2pm (I sent it in at 9am). 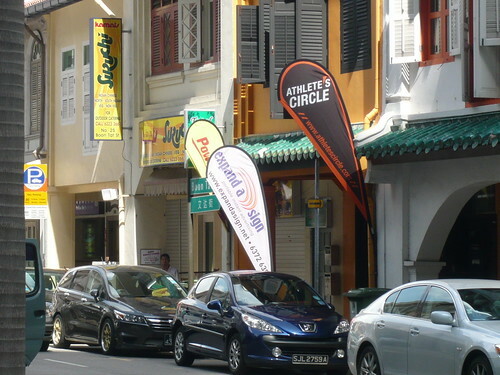 So the original plan was to go to Holland Village with a book to nuah until 2pm. Oh and squeeze in a haircut while I am there. I was done with my haircut by 10am when the Polar guy called to tell me my faulty heart rate transmitter has been replaced and was ready for collection. So I was thinking why not just make a errand trip out of it on foot? I have to admit, I got lost initially as I couldn't get my bearings. By instinct, I headed to my secret Wala Wala carpark. Oh. 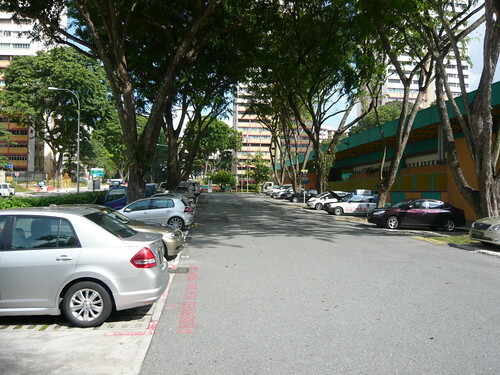 SO this is what the place look like...... in the day. 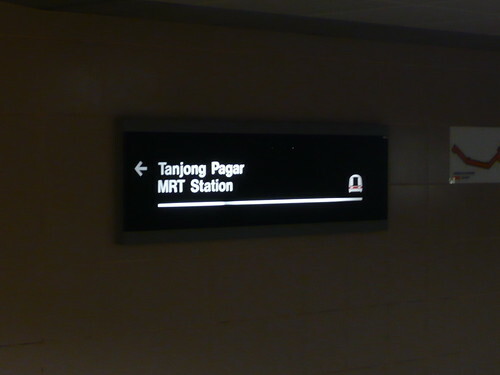 The best part was that I was out of the gantry before realising I was NOT at Raffles Place station. Being the cheap charlie, I decided not to re-enter and decide to walk. It was a rather enjoyable stroll and walking down Robinson Road brought back memories of my internship in a bank along the strip. Checkpoint #1. Finally reach the place to pick up my heart rate transmitter. Early early tell them transmitter problem, then don't believe. Say what computer diagnostics say nothing wrong blah blah blah. Harlow, aku ran 32km and transmitter got problem is bluff you one har? But hor, the people there very nice lah. I am still thankful that they finally replaced the transmitter despite going there for the 3rd time. 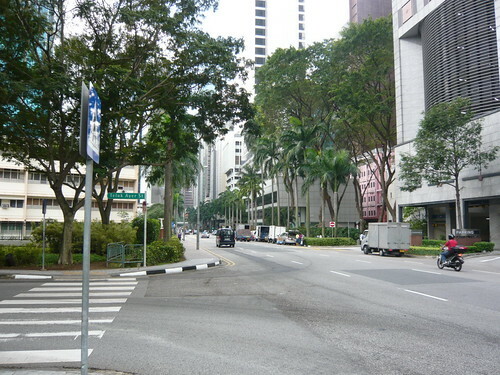 Next stop, Hong Lim Food Centre. 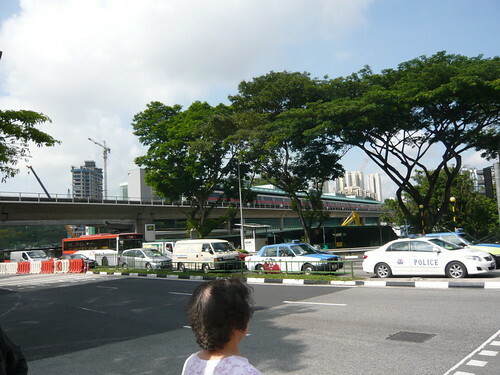 As I was walking towards Raffles Place MRT station to take to Chinatown Station with a change of line at Outram or Dhoby Ghaut station, when I spotted the OG sign in the distance. Hey. That's Chinatown Point right there! And to think I almost took the train to go one big loop when I could have easily just walked across. LOL. As I was way ahead of schedule around 11-ish, I decided to take a pit stop to grab a cup of joe at Spinelli Far East Square. Here's the funny thing. 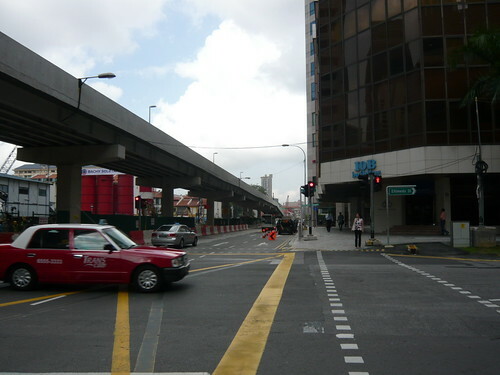 I always go to Far East Square from Shenton Way side while I always approached Chinatown Point from Eu Tong Sen Street side. 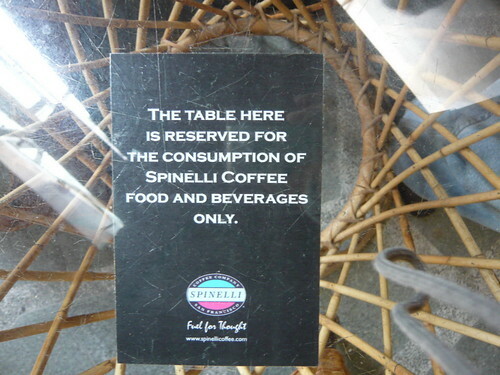 Anyway, this sign on the table caught my attention. Remember how many other establishments have notices against consuming "outside food" at their premises. 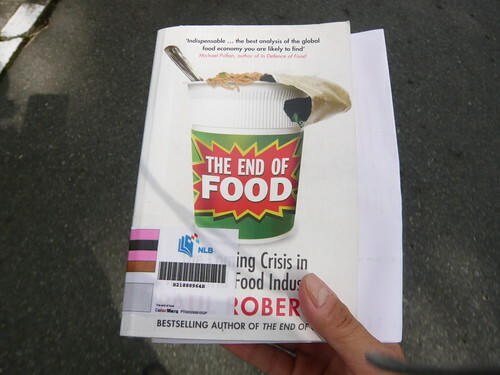 It always bothered me what is "outside food". Well, Spinelli. You are doing it right. Kudos. Got to Hong Lim Food Centre ahead of time and decided to go to the second floor to get a couple of curry pok to munch. Will review that in a separate entry. 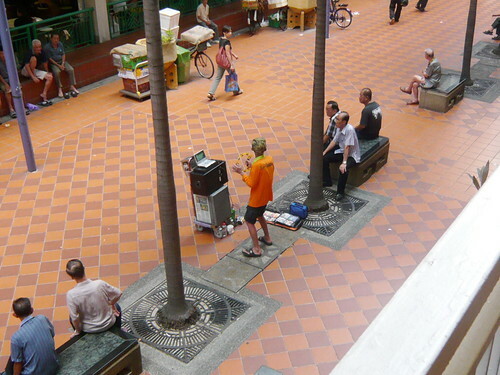 As we were having our lunch, we were entertained by this Ah Pek Busker who belted out Hokkien favourites. I was there earlier when he was setting up when this other uncle came up to him to ask about his tour schedule. WHOA! Ah Pek busker got tour schedule one! Mai siao siao hor. I heard something like he is at Bedok every Tuesdays and Thursdays or something. The singing was so-so in my opinion but DramaQueen Junkey cringed over her laksa. (Not THAT bad lah!) As mediocre as we thought his singing was, we were suprised by the size of this audience. The railings on the second floor overlooking the little courtyard was lined with people!! Well, I gave the Ah Pek Busker an "A" for effort as he sang his heart out. You can see he really enjoyed his craft. Thumbs up for ya, Ah Pek! It's been awhile that you didn't write such a long post. Anyway, you are the drama king here as well. KingMeng The King of Lisco Lisco Goot Goot! I Am Wedged Under My Desk. HALP!